Native or Standard Format in Your Archive? Imaging Informatics: Native or Standard Format in Your Archive? • Will the data be stored in their native format or in a standard viewing format? • Which departments will need to access and share these images? • Will images need to be segregated for clinical and research purposes? When faced with these questions, most health care organizations think first about a vendor neutral archive (VNA). Indeed, the versatility of a VNA solution can be leveraged as the cornerstone of an overall enterprise imaging strategy. Most imaging modalities conform to DICOM standards. However, as organizations look at an overall enterprise imaging strategy, other image-producing service lines such as ophthalmology, pathology, wound care, oncology, and dermatology almost exclusively produce image objects outside the DICOM format. The ability to ingest non-DICOM elements and store them in a native format is a significant contributing factor to the scalability and enterprise applicability of VNA technology. By incorporating all image objects in a patient record, the VNA dramatically expands the ability to access information by allowing the source modality, application, or device to retrieve the original image object with all metadata preserved. This is not necessarily the case with DICOM wrapping. At first glance, it seems preserving the native format of a variety of non-DICOM image objects adds a tremendous amount of complexity to the management of enterprise image data. When storing images in their native formats, a countless number of additional data standards must be supported and managed. While DICOM is therefore an attractive management option due to its existing structured approach, the benefits of maintaining native image formats to the enterprise may be a more pressing concern. While acknowledging the benefits of native data retention, it's also important to recognize that growing attention to analytics by health care organizations has emphasized the need to standardize the data elements acquired with each image in a uniform manner. Therefore, health care CIOs must carefully weigh all available options and discuss with their vendor partners how they will consistently and uniformly acquire data today so they will be able to support predictive and prescriptive analytics in the future. For an application that does not speak DICOM, retrieving DICOM-wrapped image objects requires the objects to be unwrapped. This can create unnecessary latency and loss of important metadata and original image quality. 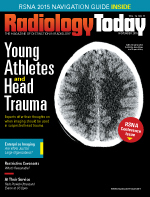 Radiology, which favors DICOM use, may be one of nearly 40 image-producing service lines within an enterprise. As a result, DICOM wrapping forces a radiology workflow on all the other "-ologies," while maintaining native data formats would allow the flexibility for each to optimize the technology to fit its own unique clinical workflow needs. It's also important to recognize that enterprise image acquisition is increasingly happening in non-DICOM file formats even within service lines such as radiology and cardiology that have been traditionally DICOM friendly. The reason? There is an expectation by providers and the referring community that images may be retrieved easily and within standard formats such as JPEG, TIFF, and PDF by the originating data source or on a mobile device. Viewers on the market today allow clinical and reference viewing independent PACS workstation and fully accommodate most non-DICOM images. The availability of these viewers eliminates the need for DICOM wrapping. Technology has advanced to more easily support multiple image formats. A VNA satisfies the need for cross-departmental data sharing and access. By serving as an enterprise's imaging library, a VNA can link disparate data silos across multiple departments while providing a single storage management strategy for all departments' clinical images. This provides the best solution for long-term, longitudinal patient image availability with the least amount of latency. A VNA can provide a single outbound point of integration to an EHR, eliminating management and support integration issues from multiple PACS environments. Performance is often improved this way, especially in larger organizations where PACS can struggle to keep up with demand. The VNA manages images and can scale much larger than the PACS. Additionally, a VNA can also be leveraged as a single point of integration into a health information exchange (HIE), a plus for enterprise analytics as opposed to having every disparate clinical system integrate to provide data to bridging solutions. • Decide early about native format storage. There are advantages to each, something which IT staff and clinicians must discuss and resolve early in the process. • Explore VNA advantages in sharing data. Cross-departmental sharing and access can be achieved by a VNA that can tie together disparate data silos in an organization, with the added advantage of offering a single outbound point of integration into both EHR and HIE systems. • Understand segregation issues. With the growing merger and affiliation activity in health care, image segregation is becoming a hot IT topic, particularly for those providing an enterprise imaging platform for an affiliate organization. — Rupinder Colby, MPH, is a project manager with Ascendian Healthcare Consulting. She can be contacted at rcolby@ascendian.com.